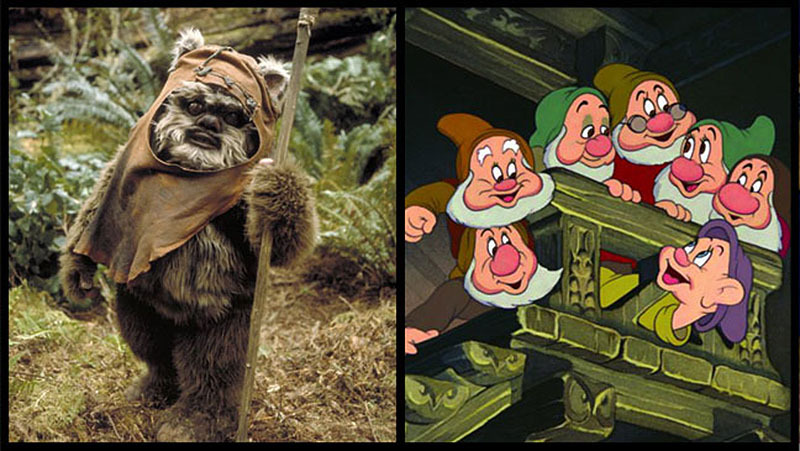 If It's Hip, It's Here (Archives): When You Wish Upon A Death Star: 12 Visual Parallels Between The Star Wars Movies and Classic Disney Favorites. 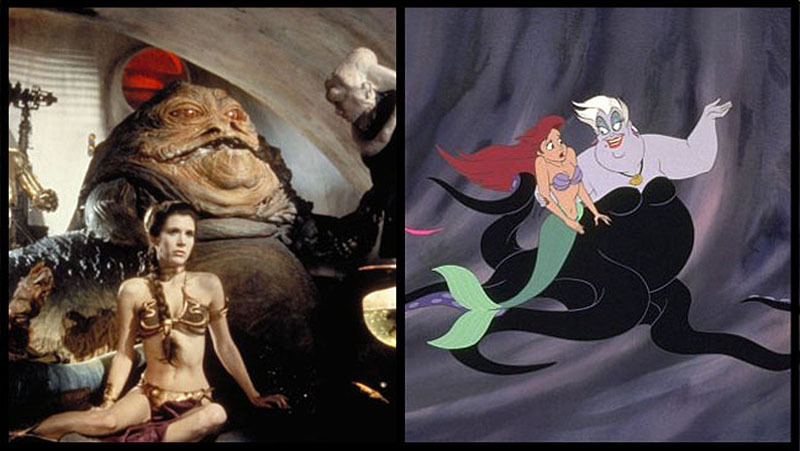 When You Wish Upon A Death Star: 12 Visual Parallels Between The Star Wars Movies and Classic Disney Favorites. Disney's purchase of Lucas Films for $4.05 billion dollars which Lucas is generously donating to charity has been all over the news lately and as expected, lots of memes and clever mash-ups have been popping up online. Seth Abramovitch and Kyleen James drew these 12 amusing visual parallels between the Star Wars movie franchise and some classic Disney favorites in The Hollywood Reporter. 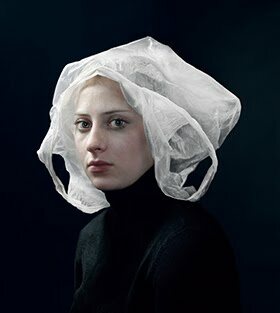 Some are certainly stronger than others but I know that many of my readers would enjoy it, so I'm reproducing the article here for you. 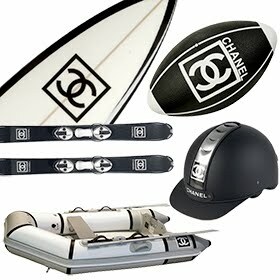 Besides, I hate slideshows and prefer to see them all on one page and thought you might, too. Think Disney's purchase of Lucasfilm makes for uneasy bedfellows? 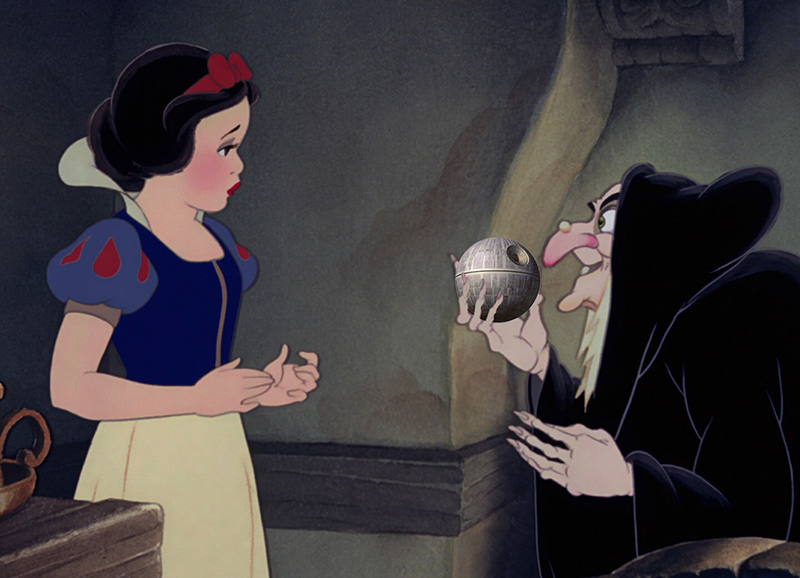 The Disney and Star Wars universes have far more in common that you might believe. 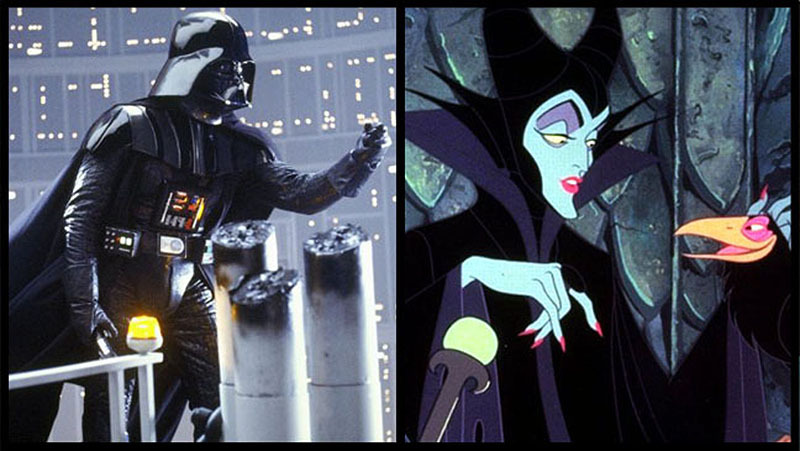 From Darth Vader and Maleficent to Yoda and Jiminy Cricket, discover some of the striking parallels between the two fantasy giants. The towering lead villains of Star Wars and Disney's Sleeping Beauty (1959) share more than just a penchant for black uniforms and ornate headware. Darth Vader and Maleficent also both possess a mastery of dark, unseeable powers which they use to further the forces of pure, unadulterated evil -- and we love them for it. 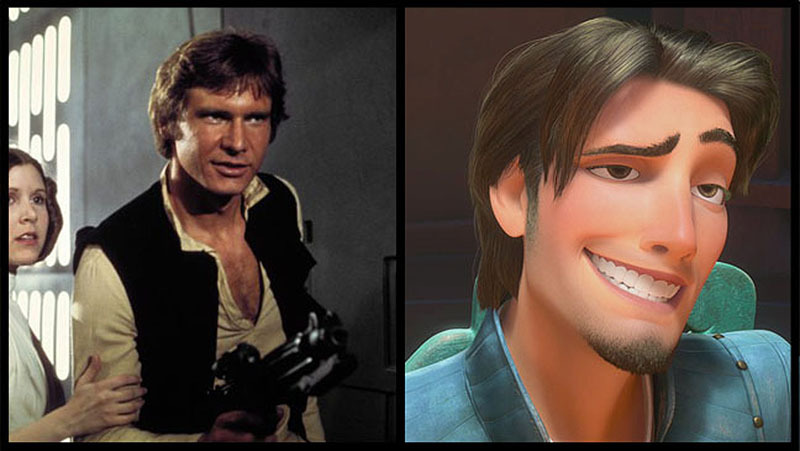 Caddish Han Solo isn't exactly what you'd call a Prince Charming, but neither is Flynn Rider from Tangled (2010) -- real name Eugene Fitzherbert -- a petty thief who steals Rapunzel's tiara ... and ultimately, her heart. 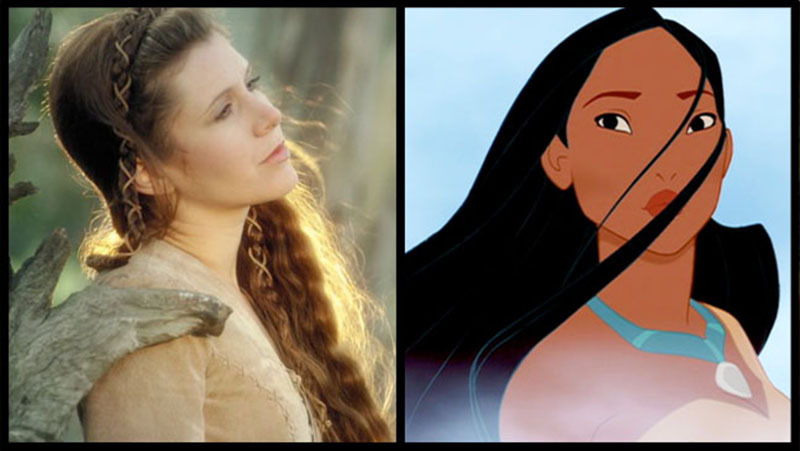 Princess Leia might recall any number of Disney Princesses, but her Star Wars backstory -- a beautiful and courageous daughter of a great leader who risks her life to protect her people against forces of destruction -- most echoes that of Pocahontas (from 1995's Pocahontas). 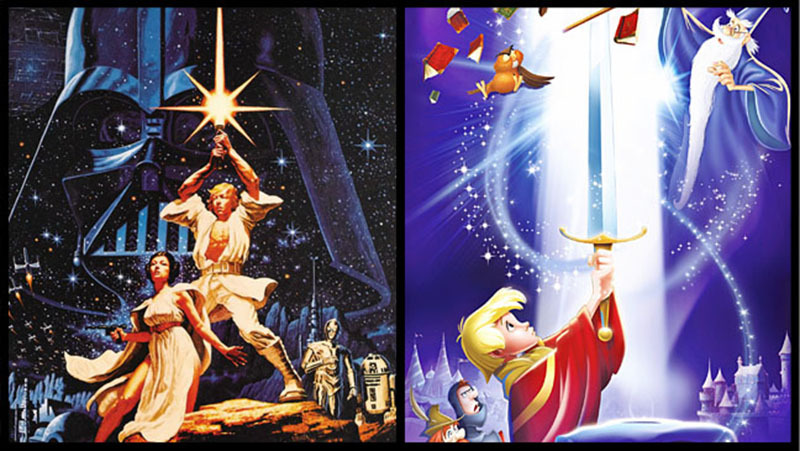 The two blonde boy heroes of Star Wars and The Sword in the Stone (1963) -- Luke Skywalker and young Arthur, also known as Wart -- both know a little something about wielding sabers of extraordinary power, and how they can ultimately lead you to your rightful place on a throne. Require you a short, green conscience to help you find your way, do you? 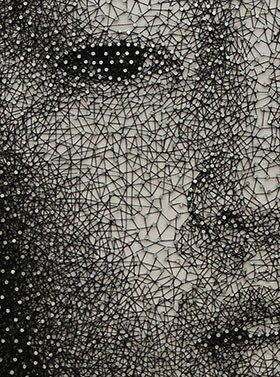 Perhaps one possessing great wisdom about nearby celestial bodies, and how they might help you achieve your deepest desires? 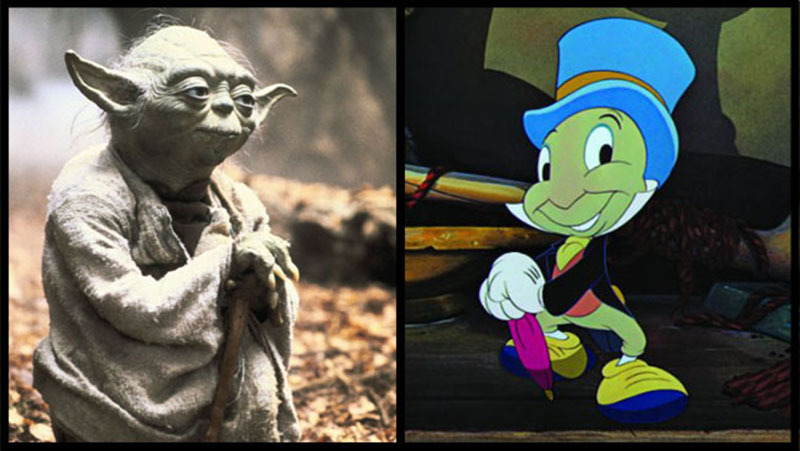 Then you should probably meet Yoda and/or Jiminy Cricket from Pinocchio (1930). Whatever would we do without our sentient helper robots? 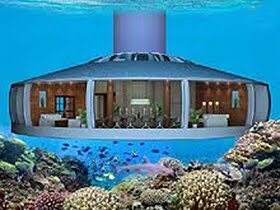 They're forced to do all the crud work, and, short of a few disgruntled bleeps and bloops, never once complain. 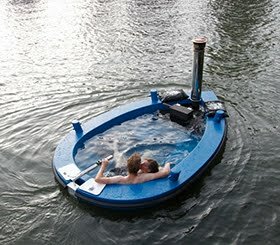 And once in a while, they manage to save entire planets. 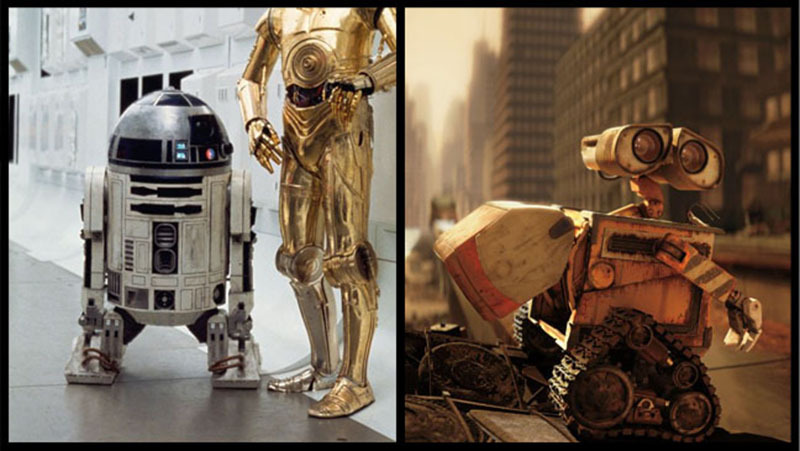 So let's hear it for R2-D2 and Wall-E (from 2008's Wall-E). Hug your droid today! It's amazing how productively evil you can be without actually being able to walk. 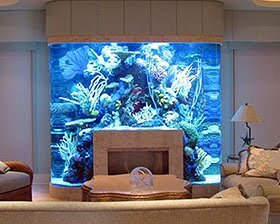 Then again, Ursula from The Little Mermaid (1989) can always swim to her various underwater terror appointments. 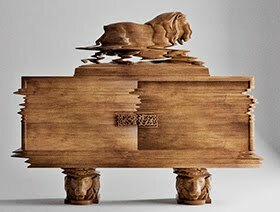 Jabba the Hutt, on the other hand, is mostly relegated to his platform-on-wheels, sliding backwards from time to time to take in the occasional Rancor feeding. 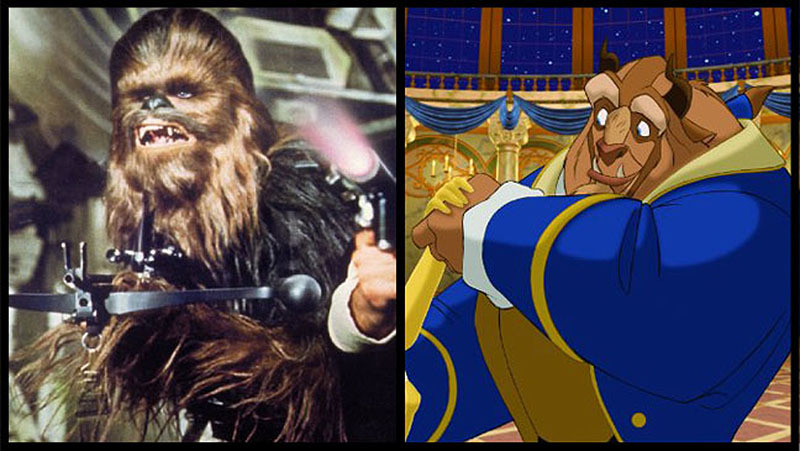 If you're the type that likes your men with wall-to-wall carpeting, then both Disney and Star Wars give you something to swoon over in Beast from Beauty and the Beast (1991) and Chewbacca. 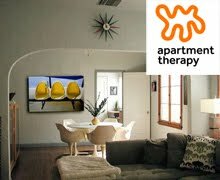 In Chewbacca's case, however, there are no spells to break -- just a lot of ape sounds and a lifetime of clogged drains. Diminutive, industrious forest-dwellers unite! The dawning of the Ewok-Dwarf Alliance is upon us. They're both made from solid brass and live to serve. 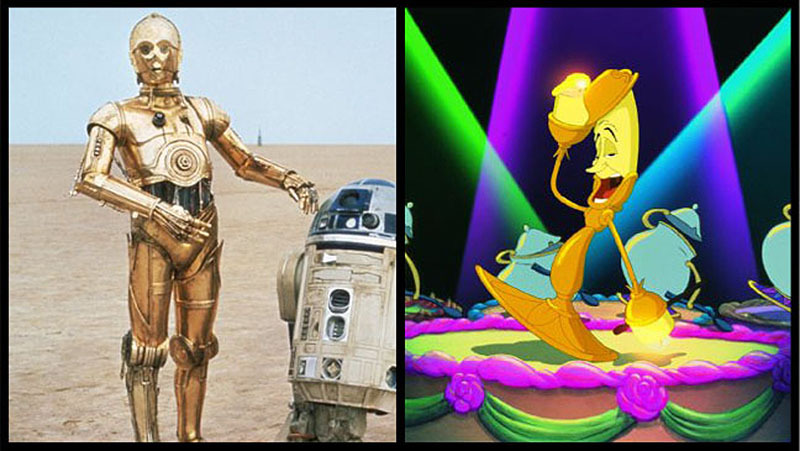 But that's not all C-3PO and Beauty and the Beast's Lumière have in common: They also love showtunes! Sometimes, all it takes is an aged loner who is nimble with his hands to turn a toy into a boy, or a boy into a man. 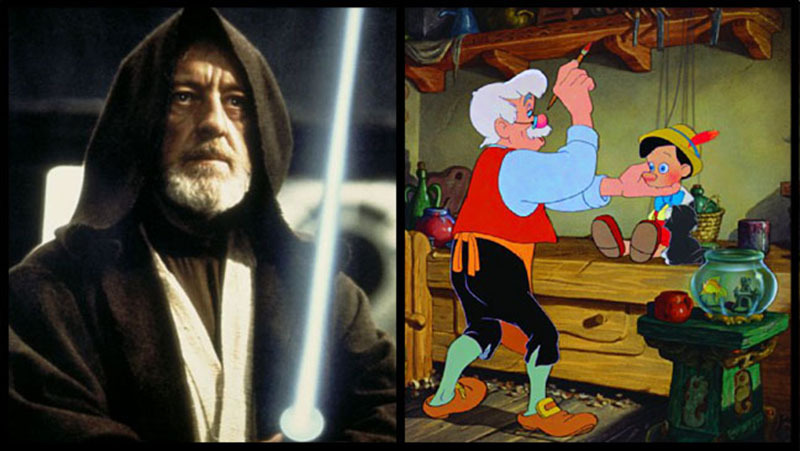 At least, that's the case with Obi-Wan Kenobi and Geppetto from Pinnochio (1940). 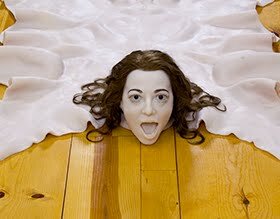 "It's a trap!" could easily be said by either of these lovable supporting crustaceans. 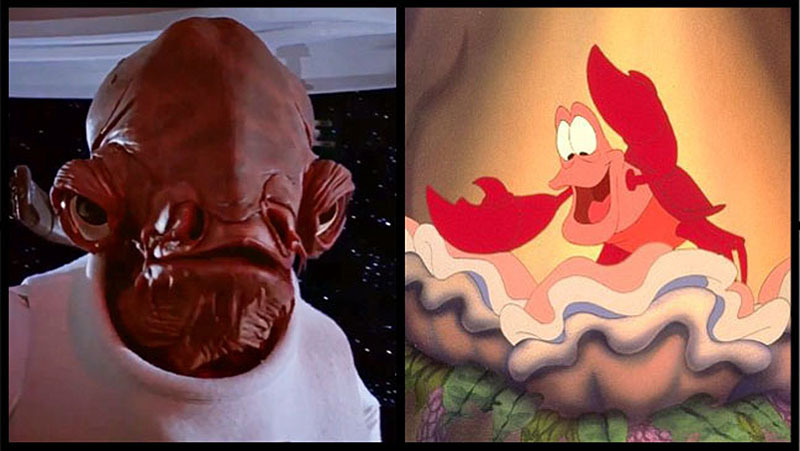 In Admiral Ackbar's case that could spell doom for the Rebel Alliance; in the case of Sebastian the Crab from The Little Mermaid (1989), however, it just means dinner for Ursula.